The President of the Russian Federation returns military equipment from the Crimea in order to make space in the occupied peninsula for yachts of Russian oligarchs. The Editor-in-chief of BlackSeaNews Andrey Klimenko made such statement on his Facebook page. He noted that in a few weeks new US extraterritorial sanctions against the Russian Federation will come into force, which will affect representatives of the political and business elites of the Russian Federation who have expensive yachts abroad. “In the cold and stormy season on the Black Sea - about 6 months - these yachts stay in warm Mediterranean lands. The 53-meter Chayka (CHAYKA, IMO: 9544619) belongs to the enterprise for the supply of products of the Presidential Administration of the Russian Federation and renders services the president of the Russian Federation. In different years it spent the winter in the Greek Lavrion or Croatian Split. 52-meter UNITY (IMO: 1010181), belonging to by the Prime Minister of the Russian Federation according to popular Internet rumors, regularly spends winter in the Italian marina-town of the Empire near San Remo,” he wrote. Andrei Klimenko further noted that due to the introduction of new US sanctions, these yachts can be arrested. “It’s quite clear. And nothing of geopolitics. Take your scrap metal, because it takes up a lot of space that is not enough for ships of maritime security, besides, the yachts of the Russian "elite" will now be based in Balaklava,” he believes. Earlier, the RF presidential press secretary Dmitry Peskov said that the proposal to return Ukraine its military equipment from the occupied Crimea is "a manifestation of Russia's mood for a peaceful settlement of the situation in the Donbas." Previously, Putin said that Russia was ready to return Ukraine its military equipment from the occupied Crimea. According to the head of the Russian Federation, all Ukrainian military equipment - "dozens of ships and dozens of combat aircraft" - were in a deplorable state. However, Putin hastened to add that the Russian Federation is not to blame for that. 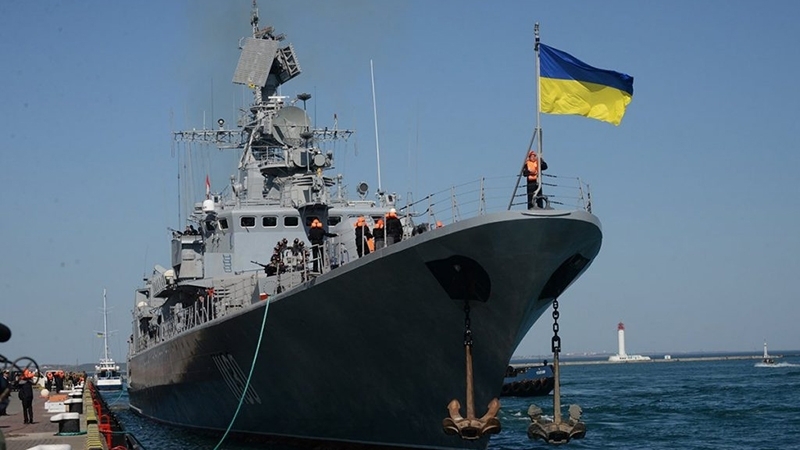 The First Vice Speaker of the Verkhovna Rada of Ukraine, Iryna Gerashchenko, sharply responded to Putin's proposal to return Ukrainian military equipment from the occupied peninsula, saying that Ukraine does not sell Crimea for ships. Gerashchenko added that Ukraine will return "Crimea and all Ukrainian property there, including ships, as well as the Donbas.